Well! After my brief, but intense 2 month return, to life as a "pro" bike rider. (For probably for the last time). I'm finally back on my travels, but not off tanning myself, or sipping margaritas on the beach, like most of Europe. I'm back in China checking on production, for the orders we have placed since my first trip back in April; and meeting some possible new suppliers. Having Brant for company last time was a real blessing in my introduction to China, Chinese people and above all, how to get from A to B efficiently. Or should that be A to B to C,D,E,F ...... This time I'm going it alone, but it's definitely easier second time round, and my suppliers are always friendly and very welcoming. Everyone has certainly been very busy, and it's always a fantastic experience and pleasure seeing my designs take shape, as real garments. Many of them, even making the showroom display, for other potential clients to valuate quality, and in some cases, even copy! 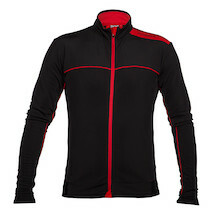 We have got some fantastic technical garments on their way in time for winter from 2 of my favorite suppliers. Keep your eyes open for the "Echo base" softshell riding jacket and the "Echostorm" 3 layer, fully waterproof and breathable jacket. Now I don't like to blow my own trumpet, but these are 2 quality pieces of kit that will get you through even the worst of British winters. Just in case I've managed to wet your appetite, you will probably want a pair of matching "Echostorm" roubaix and windtex winter bib tights, from Mr Pants! Most Chinese companies have a name as long as this blog, so they invent some often very imaginative English names for their foreign clients. This guy translated his company name into "Forever Glorious"! On our last trip he asked us our opinion, and the fact it doesn't give away any clues as to what he produces. Brant's fast and simple solution was "Mr Pants"! After all, unlike many companies who try to produce too big a variety of products, this guy just makes shorts and tights, and in my opinion he is the best in the business at what he does. I've been flat out since I arrived on Sunday, and was starting to wonder if I would have time to write this. I flew back to shanghai this morning early, from Xiamen, for my first of 2 daily appointments with a new supplier. I was told they were very close to shanghai. Turns out, that's a 3 hour drive, very close! Oops! Looks like my 14.00 meeting will have to be rescheduled. Fortunately my supplier had agreed to pick me up from the airport. Often they will send a company driver. This time I was greeted by the boss and her 14-15 year old son. Or at least that's what I thought! Turns out, the lad is my driver. And as you can imagine, put a 15 year old boy behind the wheel of a brand new Mercedes GL300, with his ray-ban shades, and this guy is king of the road! Bonus was that I found some writing time. The Chinese do love to take you for lunch and dinner, and I am a big fan of Chinese cuisine. So my dilemma of telling them we have a 6 hour round trip, and I should have another appointment in the afternoon, caused havoc with lunch plans. "We must rush, we must hamburger"! Now I'm not a big McDonalds man, but after 4 days of seafood and shell fish, for breakfast, lunch and dinner! A good old Big Mac and coke, really hit the spot! I'll admit, when I realized this was going to be a long day of driving to a supplier we haven't even met before, I was cursing under my breath. "This better be worth it"! It certainly was! These lovely ladies took one of our new designs, the On-One "Christmas knit" sweater, and made it for me while I waited. Now that's fresh! And they did a fantastic job too. Looks like we could be in for a pretty good winter. 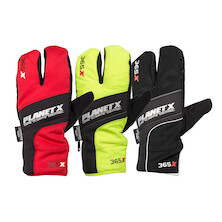 Our warmest Planet X 365 winter glove, breathable, windproof and fully insulated, ideal for club runs, deep winter endurance rides, winter training rides where nothing but the best will do to keep the cold from your hands. 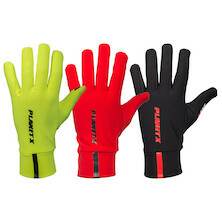 Our best selling 3-season glove, perfect for all but the coldest days. Take the edge off the wind chill and stay in control with this tight knit, silicon rubber grip glove. 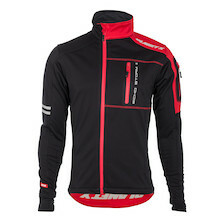 Perfect for race day and a cyclocross favourite. The essential foul weather jacket. Our waterproof softshell outer is combined with a fleece lining and intelligent detailing to keep you dry and warm even in the worst conditions. 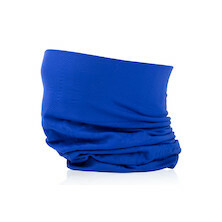 Our multipurpose, seamless neck warmer protects your head, neck, nose and mouth from cold wintery conditions. Designed specifically to be worn under cycle helmets. 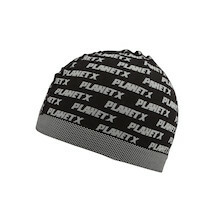 The seamless skull cap is super thin and light thanks to its hollow core prolen construction. Unrivalled warmth, wicking and comfort; the 365 X Long Sleeve Jersey has a figure hugging cut, side ventilation panels and unique one piece contoured collar. 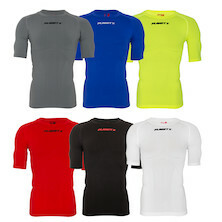 Our award winning short sleeve compression layer is simply packed with technical features and design touches that make it stand out against the crowd. 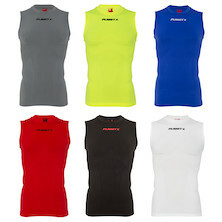 Don't let its price tag fool you and don't pay over £80 for the same top from other brands. Was this the best mountainbike we ever made?